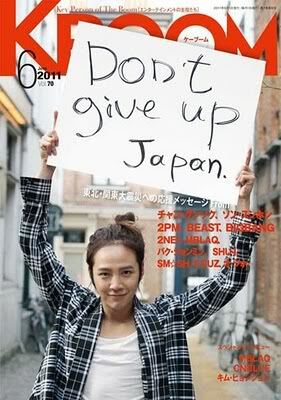 Korean actor Jang Geun Suk wants to help Japanese people as a volunteer in Japan's disaster areas. him from volunteering in Japan now. photo cards will be donated in the aid of the Japanese relief. 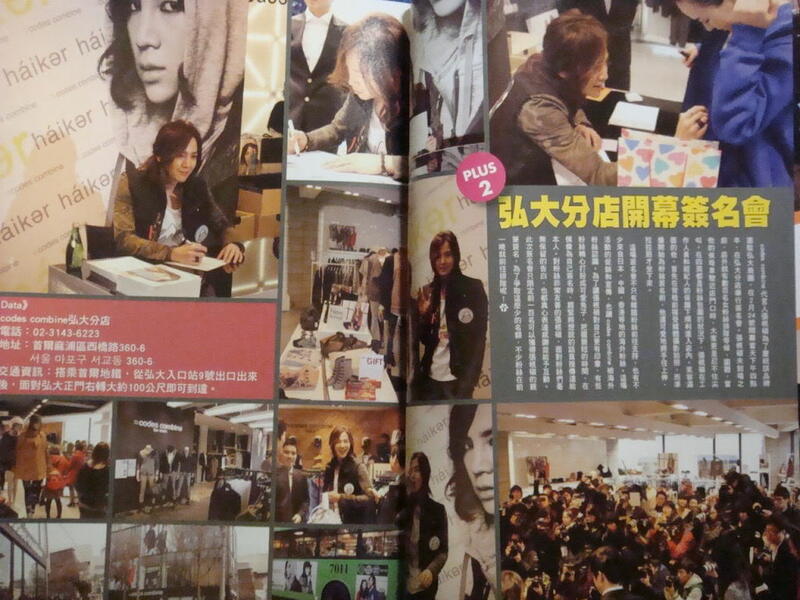 We reported that Jang Geun Suk wanted to volunteer himself in Japan's disaster areas. Today, it was reported that there is no stopping Jang Geun Suk from helping.Aside from donating money, he also donated blankets for the victims in Japan. (probably) his money always bless and clean it with his charity ..^^" and "He’s totally beauty inside and out… suk- aah keep fighting!!!" ~~~~~ax ton kalo mou me shgkhnhse!!!! th kalos pou einai panta me kanei perifanh!!!! JKS’ occasional lapses into Japanese, forthright laughter and honest conversation – we love it! Now my heart is almost jumping out! which represents my passionately burning heart, you must listen to it! Because I am a star!! such as “what” and “very” have been influenced, like “hontoni” [laughs]. fried pork chop restaurant, or stay more than 3 hours in a games arcade. I was very happy then. It was a first time doing something by myself. heart-to-heart talk with my fans. If I fall in love, I’ll fall so deep that I won’t ever give up until my heart is broken into pieces. understanding. In terms of attire, I prefer women in short skirts!! Hope she wears that kind of feminine dress with a flowery lace edge. express our love, maybe because we were young [laughs]. Want to know more about the JKS fever that has swept Asia? We did a complete background survey on him! soundtrack CD before I sleep,” says Non-No model. can become a director and produce my own movie.” This is his dream. is the most popular.” How wonderful it would be to attend! of innocence as if a little cat is tugging at one’s heart! fashion topic for discussion. 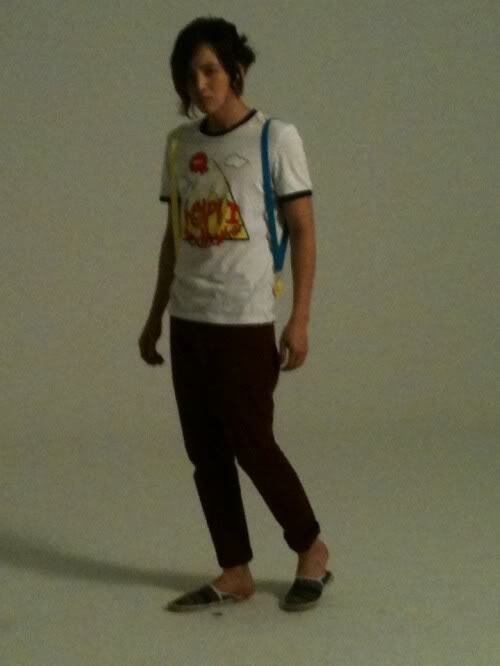 JKS is always at the forefront of fashion. Korean actor Jang Geun Suk will be the new face of Korea's rice wine for Suntory, an alcoholic beverage company in Japan. According to Tree J. Company the Hallyu star was selected as the spokes-model of the Korean alcoholic beverage in Japan. enjoy drinking it and I hope that more people will too." Τώρα, γιατί το κρατάει ανάποδα, δε ξέρω, αλλά καλή επιτυχία, εφόσον βοηθάει την οικονομία της Ιαπωνίας. You’re My Pet starring Jang Keun Suk and Kim Ha Neul together with FT Island’s Choi Jonghun and director Kim Byung Gon held a press conference last March 3, 2011 in Ibaraki Airport. The press conference was said to be the Largest Press Conference for a Korean Movie in Japan. The movie is expected to start shooting this Spring and will hit the theaters by the end of the year 2011. Maximum 10 tickets per purchase transaction on the 1st public on sale day! 2011 JKS Cri Show Hong Kong is in the midst of preparation. Just like the Jang Keun Suk you know, he is attending to preparations personally, being involved in meetings with staff on how to make the Cri Show more perfect. He is still the JKS who has garnered our deepest admiration and respect! Compared to last year, this year’s performance will be more exciting and enriched; what has not changed is his pure personal charisma, his sincere attitude towards everyone, and his air of mystery that tempts one closer! 1. All those who buy the VIP ticket will be entitled to one mysterious gift – it’s a special surprise! 2. All those who buy the Normal ticket will be entitled to one beautiful poster. 3. VIP ticket-holders will have a chance to enter a lucky draw. 100 winners will be selected for the autograph session, and 300 winners will be selected for the photograph-taking session. Jang Keun Suk’s Cri~show in Singapore Promoter Colored Rhythms will announce information on merchandise up for grabs for pre-order this week due to limited quantities. There will be Lounge H items available too so to those who want to pre-order, please watch out for any updates from them anytime soon! 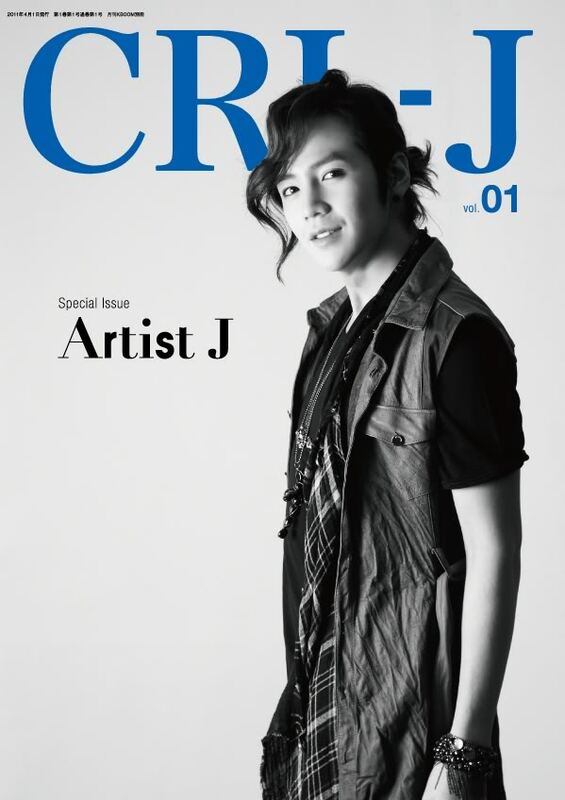 Jang Geun Suk has graced the front cover of the weekly Japanese magazine, ‘Anan‘. The issue was released on March 23rd and sold out all 280,000 copies! ‘Anan’ is a famous Japanese magazine that’s popular with women in their 20s to 30s. 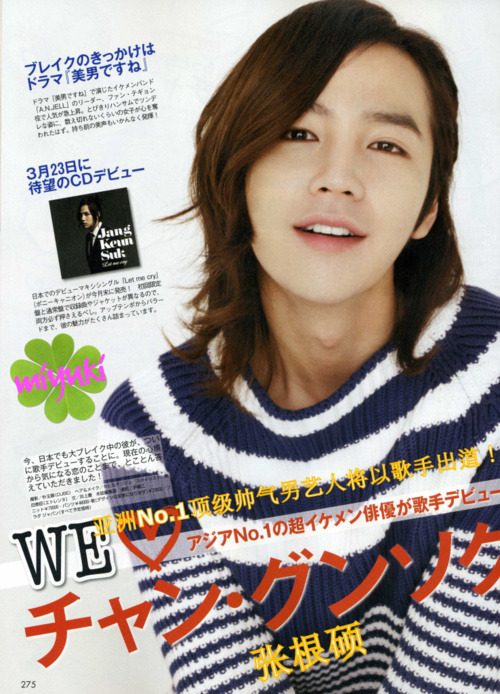 It’s known for having only the top Japanese stars on its cover – to see Jang Geun Suk being picked demonstrates his popularity amongst Japanese women. Even the staff members were affected by the star, as it’s being reported that they were eagerly anticipating his arrival. They’re said to be big fans of his drama, “You’re Beautiful“, and were captivated by the actor’s professionalism and sense of style. The actor is currently preparing for his Asian tour, which is to be held in Singapore, Hong Kong, Taiwan, Shanghai, Thailand and Malaysia next month. Hi everyone, this is Tree-J. Due to his increasingly busy schedule recently, Actor Jang’s health is deteriorating. As such, all his performances are temporarily suspended. This is the result of stress and the accumulation of exhaustion, and not of his intention. We are sorry to cause any anxiety to fans who love JKS. Hope that actor Jang can recover soon. As for his upcoming Asia Tour, we shall announce his schedule in the near future. 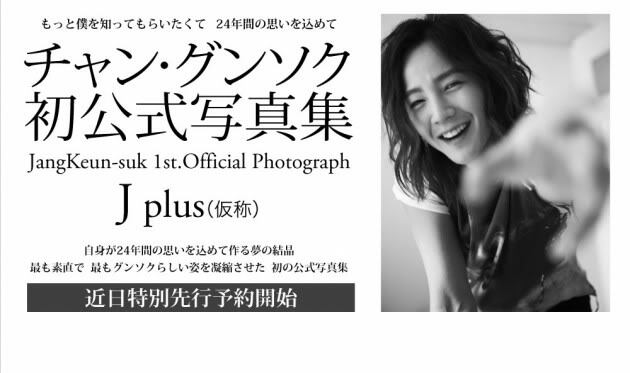 Jangkeunsuk.co.kr or Jang Keun Suk’s OFC releases this pop-up notice today April 1, 2011. Eels, Do you think this is an April Fools Joke from Our Prince Jang Keun Suk just like what he did last year? 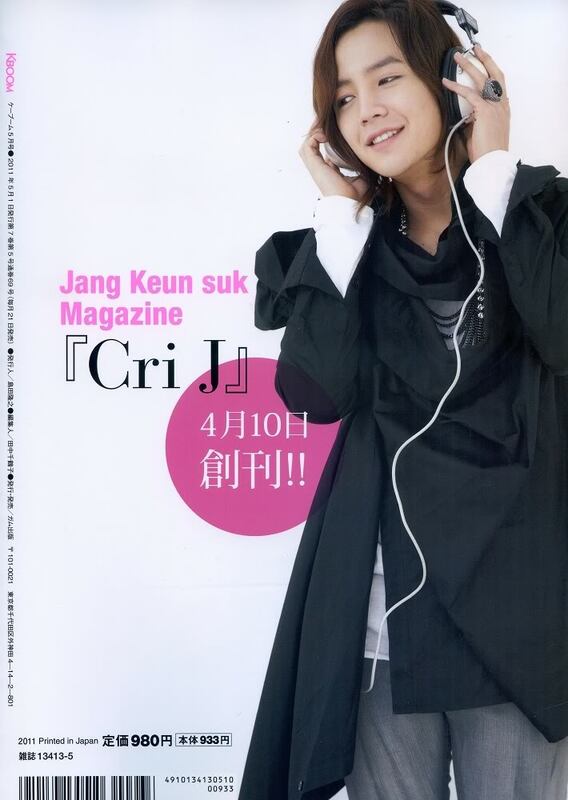 Cri-J Magazine Issue Number 1 out on April! Singapore eels! It’s 21 days before you get to see Keun Suk-ssi live! Today, the autograph and photo-taking passes have been released! The rectangular-shaped fan is the autograph pass and the flower-like shaped fan is the photo-taking pass, which the eels get to keep as souvenir. 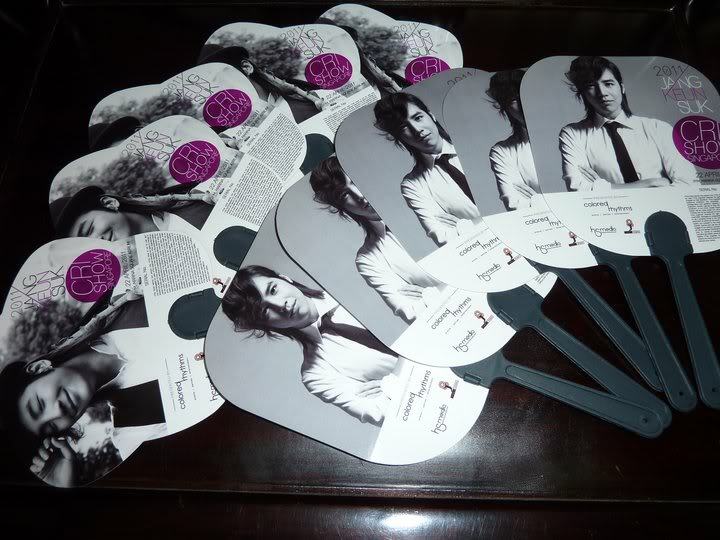 Grab one now, SG eels! Where is Your Star?” will be rebroadcasted on TBS on April 9. A symphony of love and passion [and] Beethoven Virus [You're Beautiful I] and appeared in blockbuster actor knows no Korean can remain popular in Japan, Jang Geun Suk. In November 2010 he was also known as an entertainer, starting in Sapporo, Fukuoka, Kobe, Yokohama (performed twice) over the fan meetings in four cities nationwide. Yokohama particular pattern of performance and will be broadcast live in theaters nationwide satellite was also a lot of fans enjoy the event go to the venue. TBS channel, broadcasting exclusively on the pattern of the fan meeting held on 27 November 2010 in Yokohama! Japanese and took a shine more than ever, and that Japanese teachers from Kansai, Kansai dialect is also talk from time to time while exchanging Fun has been expanded. Cheer rises from the floor and waving yellow, like if you drink the water blow. Attracted much interest in every move of his female fans. Organize themselves for the fans Gunsoku, a special event that all performances are sold out, do not miss us! 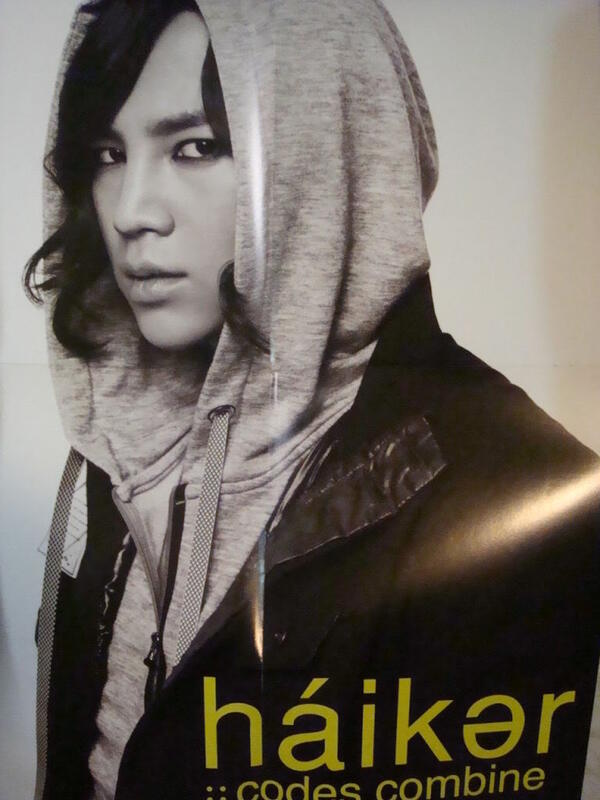 The most beautiful male Korean idol Jang Keun Suk, with his slender figure and unique style, attracted the attention of fashion line Codes Combine who specially invited JKS to be their brand ambassador for 2011. Codes Combine has launched their latest Spring trendy collection. Appearing in comfortable clothes amidst ever-changing styles, JKS demonstrates the “in” look for this season! 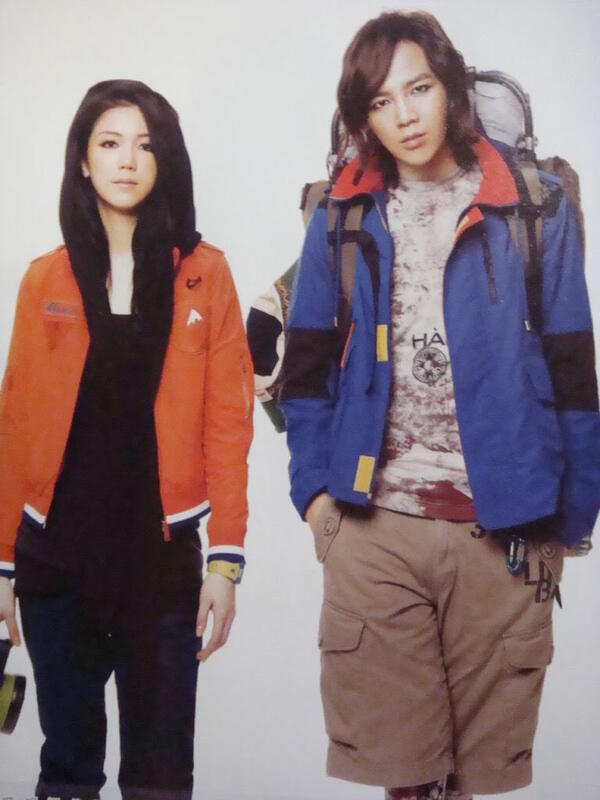 From young, JKS had appeared in several commercials and has practically grown up in the showbiz business. Compared to other young idols, he has a stronger ability to adjust to this environment. Facing the media or the pursuit of fans, he always has a ready smile, thus gaining the love of the media and his fans. In addition to his dream of being a star, JKS had other childhood dreams too. “From young till senior high school, I had more than 10 ideal occupations!” JKS also ever wanted to open a shop selling streaky pork just because he liked eating it. He had also dreamed of being a doctor, thinking of what he would look like treating patients in a white robe. Probably in his senior high school days, JKS started to become interested in snazzy cars. He would read car magazines, cut out the pictures of his dream cars and paste them on his bedroom wall to admire. One of his dreams included being the boss of a car retail centre. A speed enthusiast himself, he had also dreamed about being a professional car racer. However, maybe because JKS had been involved in shooting commercials since young, he had developed an interest in visual effects and creative work, and his other dream was to be involved in media-related work or to become a professional actor. Today, not only has his dream come true, JKS has also successfully ventured onto the international stage. Often asked by the media about his love life, JKS feels that it is very hard to find a life partner, and thinks that love is a difficult mission. In early March, his new movie “You’re my Pet” just had its grand opening press conference in Ibaraki, Japan, which attracted many reporters and thousands of fans in support. JKS’ original schedule to be in Ibaraki in May for filming is now affected by the large-scale earthquake disaster. 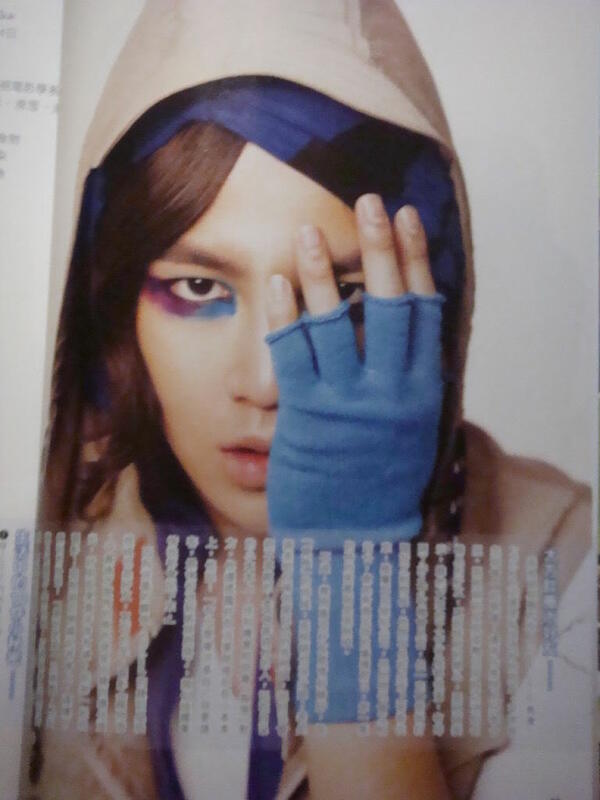 JKS initially has many planned events in Japan these few months. In light of the earthquake, there has not yet been any announcement about his confirmed schedule, but having the support of many Japanese fans, JKS immediately donated 10 million yen through Japan Red Cross. JKS sincerely hopes that the earthquake victims can resume a normal, safe life as soon as possible. When his role in “You’re my Pet” was confirmed, JKS has since worked hard to prepare for his character. Acting the role of a ballet dancer, he has actively maintained his diet and figure for 3 months consecutively, and continued practising his dance moves. 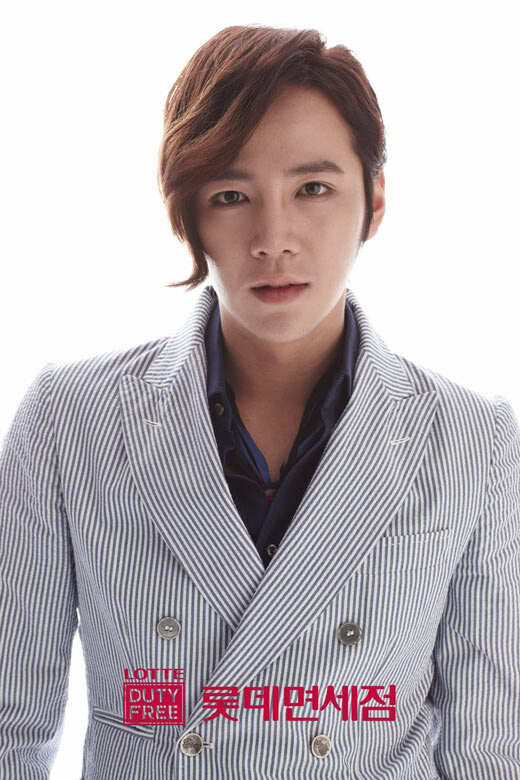 JKS’ good friends in showbiz are Kim Hee-chul of Super Junior and Lee Hong-ki of FT Island. When they are free, they will get together, and also share group photographs on Twitter. JKS is very happy to talk about his good friends who are also renowned Korean stars in Asia. Their work schedules are packed and they may see one another once in a long time, but they often keep in contact via phone. In addition to their frequent interaction in private life, they will also appear publicly at one another’s events despite belonging to different agent companies, such as Hee-chul inviting JKS to be his special guest for the first episode of his radio programme. 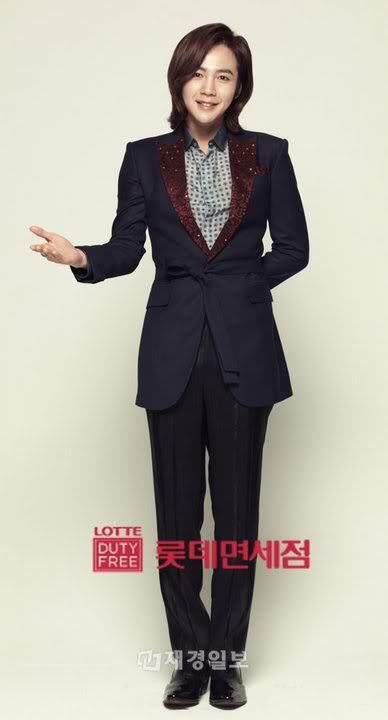 (1) When he wears a formal suit and shirt, JKS will become quieter as he wants to maintain a good image. 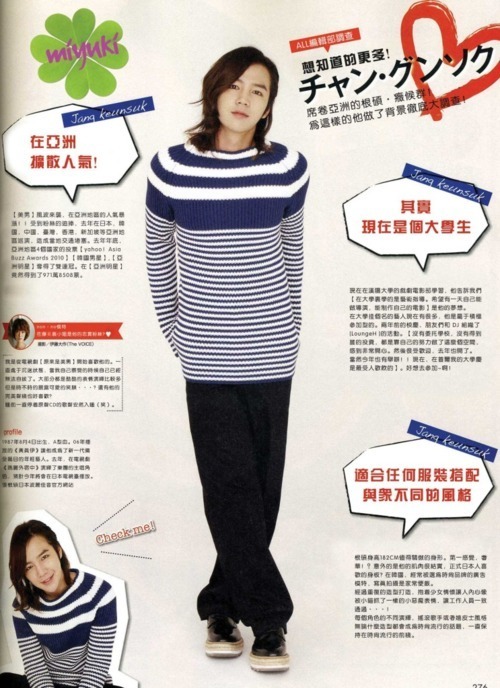 (2) If he is living on a deserted island, the things that JKS must have with him are DV, mobile phone and car. (3) If he must choose a group to join, JKS will choose FT Island or CN Blue. He did consider Super Junior before, but after some thinking, he feels the group is too big and it would be hard to stand out and get attention. (4) The places at home where he feels most comfortable in are his bedroom and kitchen. (5) Once he has time, JKS cannot stay away from his mobile phone. Currently using iPhone, he sends about 400 or 500 messages a day to keep in contact with friends and family. (6) Although JKS likes drinking and has capacity for liquor, he will get a headache when he drinks red wine. (7) The most horrifying incident in JKS’ life was 2 years ago when he was driving along the expressway. It was raining and his car skidded off the road. His car was completely destroyed but luckily he was not injured at all. 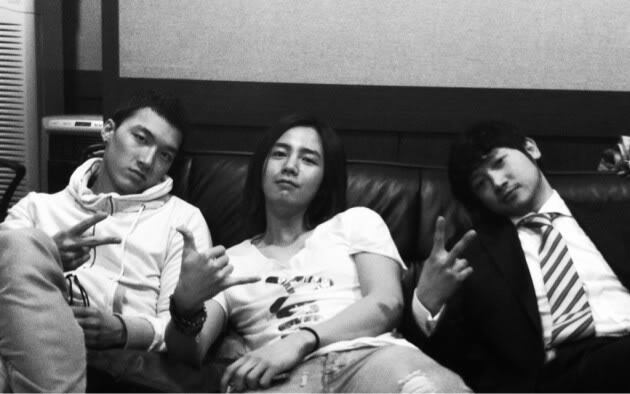 (8) JKS thinks that it is not possible to have pure friendship between guys and girls. (9) If JKS does not have a mobile phone and car in his life, he doesn’t know how to live. 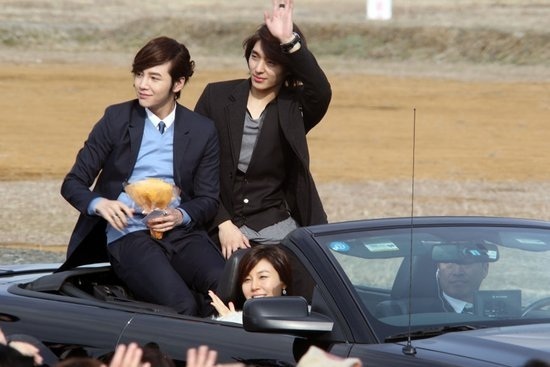 (10) JKS currently has two cars – a sport utility vehicle for daily transport and a sports car for his speed enjoyment. 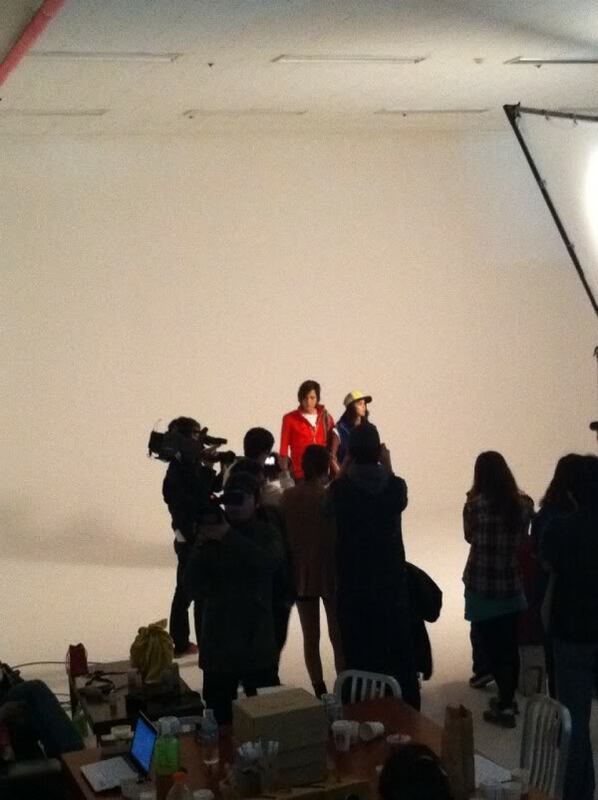 Codes Combine has invited JKS and Kim Og Bin to be their brand ambassadors. The two look compatible during their photo shoot in the studio. JKS complimented Og Bin for her pretty looks and charm. The studio was crammed full with Codes Combine’s latest season’s clothes and accessories. After putting on their perfect make-up, the two ambassadors JKS and Kim Og Bin started their work for the day, presenting their best poses in front of the camera. The main reason why Codes Combine chose these ambassadors is that both have long, slender legs which will show off the best in the clothes. Kim Og Bin shared frankly that she dieted intentionally before the photo shoot, because she did not want to compare badly next to the tall and slim JKS. Both displayed good rapport during the photo shoot, coming up with many poses and expressions that the photographer was satisfied with. The two also demonstrated on the spot which poses would make their legs appear longer in the photos. The process was relaxing and interesting. 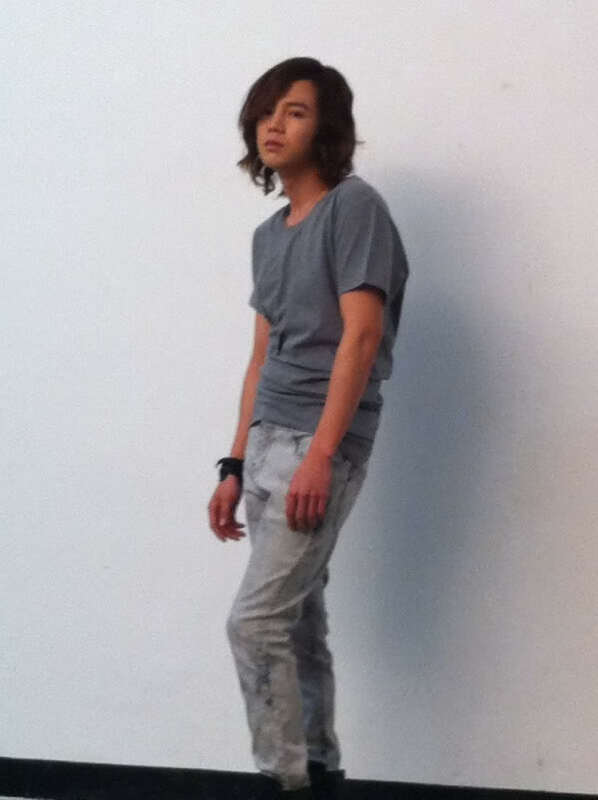 When JKS was posing for his individual photographs, something happened. As slim as a lady, JKS did not discover that he had worn Og Bin’s pants until Og Bin said, “You are wearing my pants!” Having taken the pants by accident, JKS was surprised. He said the size was ok and even a bit loose on him. This incident tickled the crew immensely. Although classified as a pretty boy, the male star that JKS admires most is manly Cha Seung-won, and most admired female star is Lee Young Ae who has recently become a mother. To celebrate the brand’s opening in Hong-dae business district, Codes Combine ambassador Jang Keun Suk held an autograph session at the outlet at 4pm on 24 Feb 2011. Before JKS’ arrival, there were already hundreds of female fans queueing and waiting for him outside. When his car neared the entrance, the fans screamed. Surrounded by fans, JKS managed to enter the shop successfully under the protection of the staff and his manager. Full of smiles, JKS was photographed by the media in front of the background display board, and he did some cute stretching exercises before starting the autograph for fans. Besides Korean fans, other fans came from Japan, China and Hong Kong. The promotion of this event has also made Codes Combine known by fans in other countries. In order to leave an impression on JKS, some fans made the effort to appear in rabbit costumes. Fans made use of the short time while JKS was autographing to tell JKS what they wanted to say to him. At fans’ unreserved declaration of love and support, JKS, friendly as ever towards fans, sincerely expressed his thanks and interacted with them. Only the first one hundred fans would have the chance to get JKS’ autograph, and for this chance, many fans even queued overnight! Jang Keun Suk Cri Show in Singapore! Colored Rhythms proudly presents“2011 Jang Keun Suk Cri Show in Singapore”Meet the highly talented Jang Keun Suk in Singapore this coming April as he flies in for an exciting weekend with his fans and kicks off his 2011 Asia Fan Meeting Tour!The actor-singer-dancer-model and DJ, who is famous for his friendly personality and superb fan service, will be putting up an impressive performance for his fans in the highlight fan meeting. On top of that, fans will also have the privilege to get up-close and personal with the Korean heartthrob at an exclusive autograph and photo-taking session. Don’t miss this chance to meet one of the brightest Hallyu stars from Korea who has charmed thousands across multiple sold-out performances in Asia! Before is a video message from the guest himself. In the midst of his busy schedule, actor Jang who is thinking of his eels has also prepared a surprise April Fools’ gift for everyone. Thanks to eels who have expressed their worry. 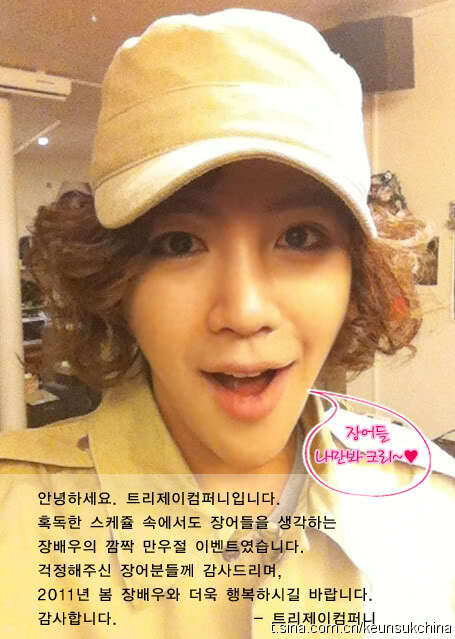 Hope that in the spring of 2011, everyone will become happier together with actor Jang. Thank you. HS Media, Jang Keun Suk’s agent company in China, has officially announced the news of JKS Asia Tour 2011 on their website. 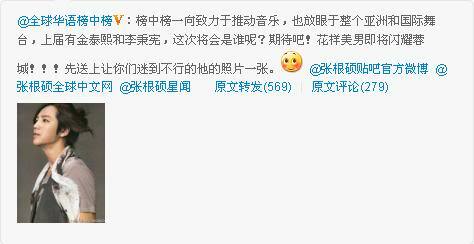 Since the news is out, it has attracted large crowds of fans leaving messages at HS Media’s official website and Sina. The expected overwhelming response comes with good reason. Due to his child actor background, Jang Keun Suk’s many years of acting experience resulted in his rapid growth. 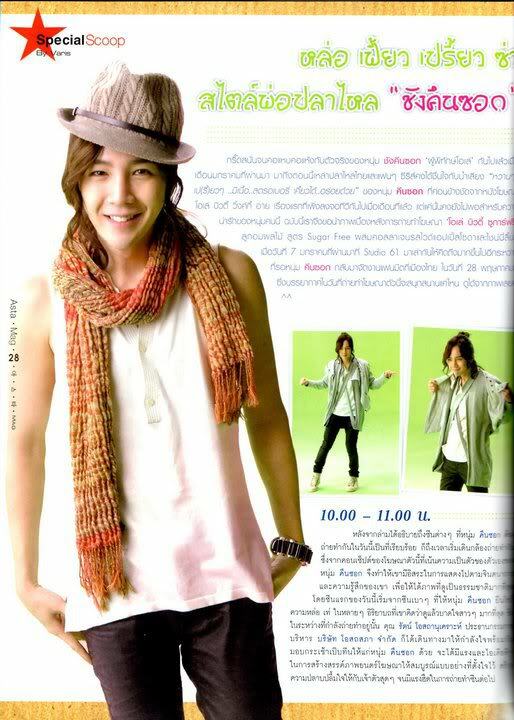 The drama “You are Beautiful” (YAB) in 2009 was an important milestone in his career. According to news, the China CEO of an international brand watched “You are Beautiful” at a friend’s recommendation and for someone like him who does not watch Korean drama, the CEO was deeply touched by the actor who played “Hwang Tae-kyung”. Besides being curious about the actor, the CEO had the idea of asking the actor to be his brand ambassador. 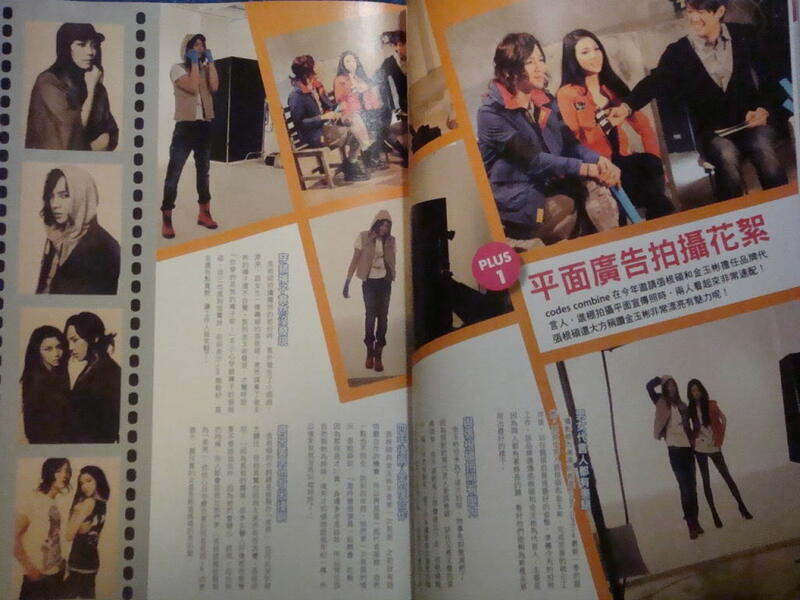 According to HS Media, JKS values the China market, and has the intention to work with good Chinese movie producers. HS Media has even received work offers from England and America, but Jason reiterates that the script is the most important. 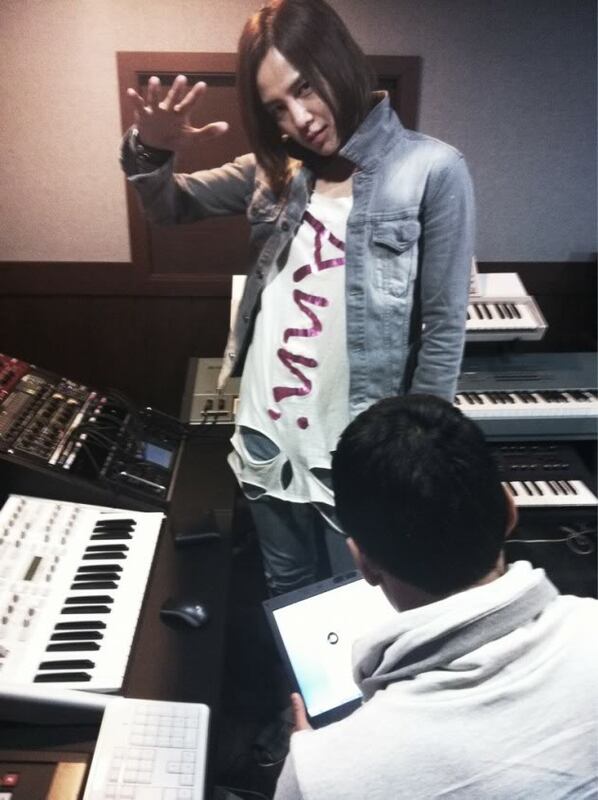 JKS is an artiste who places an emphasis on the importance of the script and has his own plans. Even if the financial gain is considerable, the script is of utmost priority. Looking at the entertainment circle today, most young celebrities are impetuous and materialistic, being overly concerned about the short-term monetary benefits, whereas this young man Jang Keun Suk born in 1987 always manages to be level-headed. An artiste who is very clear about his future path is quite rare. This explains why JKS still has a large group of loyal fans in fiercely competitive Korean showbiz where newcomers abound. 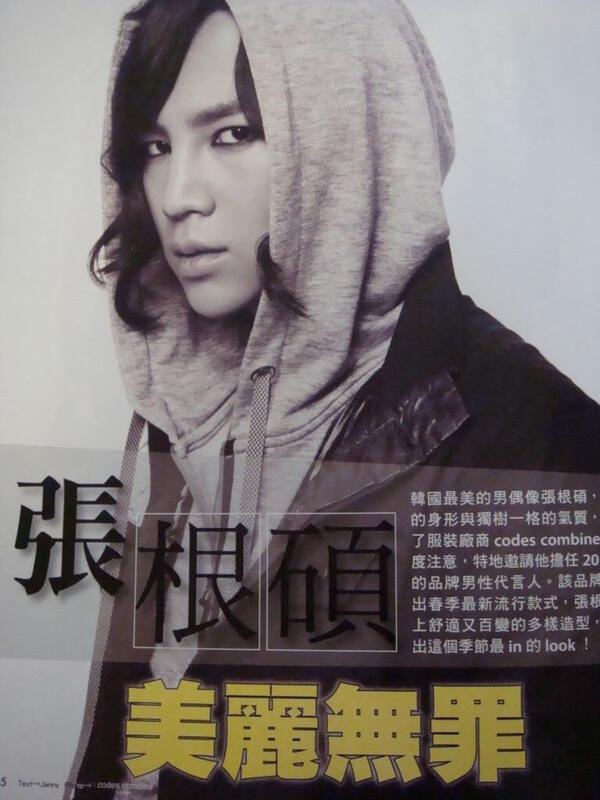 In 2010, “Marry me Mary”(M3) once again demonstrates the excellent acting skills of JKS. Before the broadcast of M3, various doubts about JKS duplicating his roles and unable to achieve a break-through had surfaced with regards to the similarity of the roles of Hwang Tae-kyung (in YAB) and Kang Mu-gyul since both roles are lead singers. Should we use “proudly untameable” to describe this actor? But then, JKS is also one who pays detailed attention to people around him. He would help his fellow colleagues fend off drinks. Even when he is exhausted to the point of collapse, he will persevere by sheer force of determination and break into genuine laughter to encourage and cheer on his fellow colleagues who are shouldering the battle with him. And the chauvinistic side of him obstinately refuses to admit that he has a gentle and sensitive side. 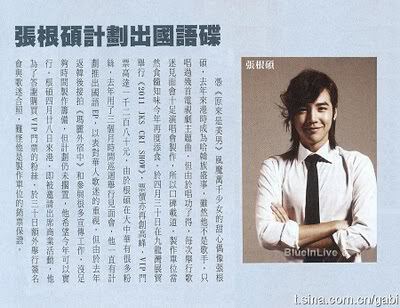 The Chinese staff who had worked with JKS in his Asia Tour 2010 expressed that JKS is unlike the domineering roles that he played in the dramas – in reality, he is very friendly with a strong sense of justice and does not put on airs. He would joke around with the others and interact well with them. JKS is the polar opposite of their impression that Korean celebrities are more unapproachable. The definition of a good professional actor is that he can give life to characters regardless of any external conditions. When you have seen the seemingly laidback and yet stubborn Kang Mu-gyul acted by JKS, you’ll completely forget Hwang Tae-kyung. There is no duplication in acting at all. One can only see from his eyes the charm that will steal away one’s heart. Some comment that Jang Keun Suk is a miracle. He can give people surprises and hope. It seems as if he is by your side, and yet he’s standing on the tallest peak. Where is he? He wanders between the moment and eternity. This is Jang Keun Suk – the new generation Hallyu star who is full of passion and ideas, possessing the ability to control his world, seriously serious and equipped with boundless charm that can conquer the world. 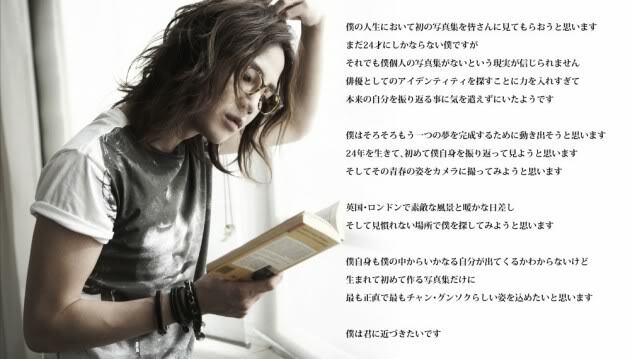 Based on “You are Beautiful”, sweetheart idol Jang Keun Suk has captivated the hearts of hundreds and thousands of girls. His arrival in Hong Kong in 2010 was indeed a grand affair for K-fans. Although he is not a singer and has only sung a few television drama soundtracks, he sings excellently and as a result, his fan-meetings often resemble a concert in the making and has earned him much reputation. 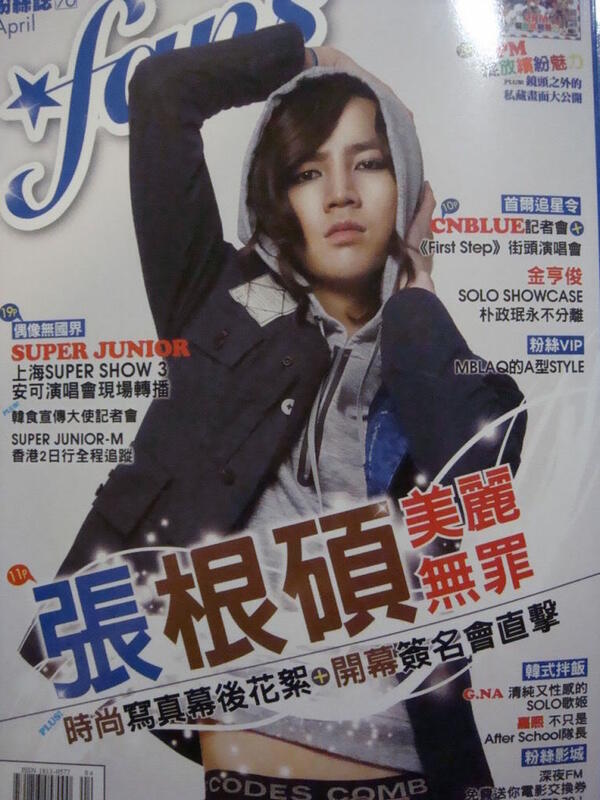 The organisers are, of course, hungry for more, and so on 30 April 2011, “JKS Cri Show 2011” will be held at Kowloonbay International Trade & Exhibition Centre. Ticket prices have reached a new high, with the VIP ticket price selling at HK$1,280. JKS has many Chinese fans, and he spent 3 months last year with them on his fan-meeting tour. All along, JKS has plans to produce a Chinese EP album in acknowledgement of their importance to him, but upon his return to Korea last year, JKS was bogged down with “Marry me Mary” filming and many promotional events and so he didn’t have time to prepare for this. 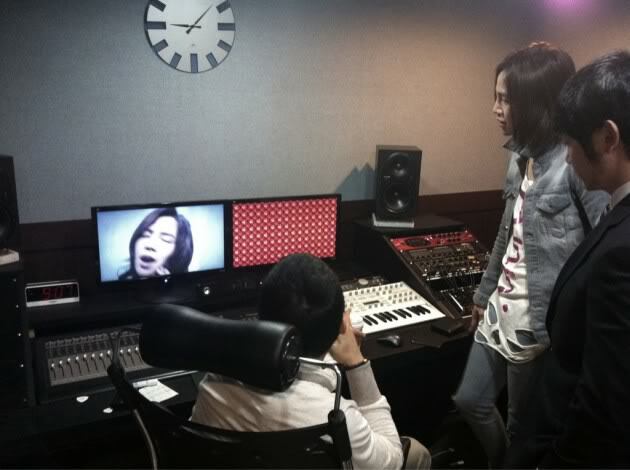 His plans are not shelved though; JKS hopes to realize his plan of producing his Chinese EP album this year. JKS is going to Hong Kong on 28 April, and has been immediately invited to attend commercial events. In order to thank fans who have bought VIP tickets, JKS will hold an additional autograph and photo-taking session on 30 April. No wonder JKS is the organisers’ guarantee of ticket sales! A little something of what will be inside the Cri-J magazine volume one. but sadly it’s only sold to those in Japan. hopefully they’ll enlarge their market soon. Argisa na ta postarw kai mazeutikan Ligo polla1 :D!!!! 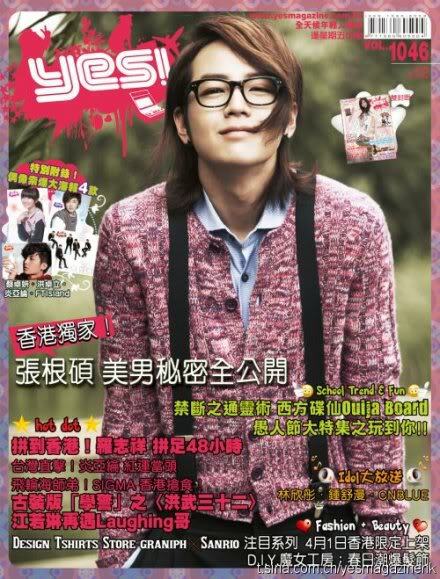 Jang Keun Suk on the cover of KBOOM Magazine! For those who are interested, you can grab a copy here. Enjoy eels! 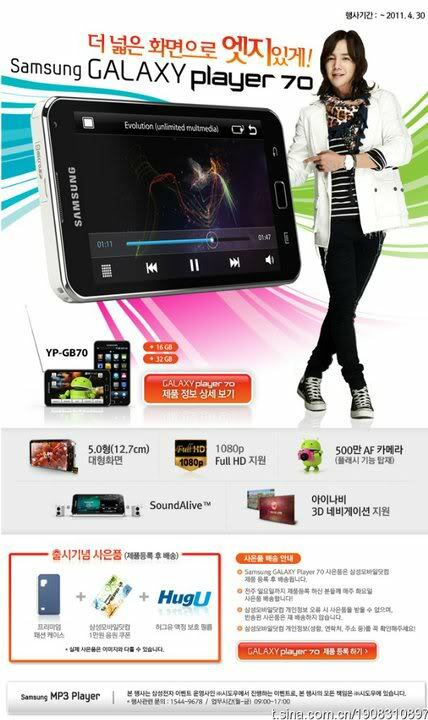 Jang Keun Suk on the new Samsung Galaxy Player Ads! Multi-talented and Handsome actor, Jang Keun Suk, appearing on the new Samsung Galaxy Player Ads! may face criticism if it changes the filming location. In comparison to other brands and businesses in Korea who engage at most 2 or 3 models for their advertisements, Lotte DFS has as many as 16 celebrities. Choe Ji-u and Song Seung Heon represent the 1st generation television drama Hallyu stars, while 2nd generation Hallyu stars such as 2PM, Kim Hyun Joon and Jang Keun Suk are brought in to expand their promotional efforts. According to Lotte DFS Marketing group leader Mr. Kim, the large-scale engagement of Hallyu stars is not merely for the purpose of a promotional event; this is a creation and promotion of a new culture that focuses on the combination of entertainment and tourism. The activities of these singers and actors have received favourable reviews and gained them much popularity not only in Asia, but also in the world as they step on the path towards global stardom. Other promotional events involving these Hallyu star brand ambassadors are in the planning. 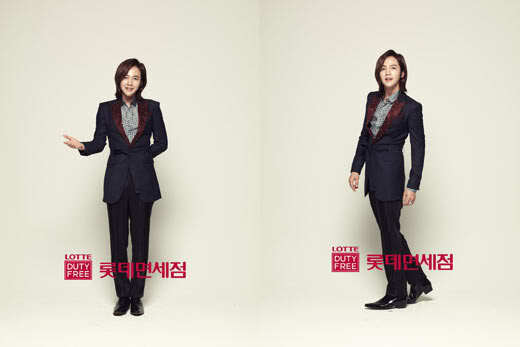 Jang Keun Suk, together with all the endorsers of Lotte DFS, will sing its advertisement song “So I‘m loving you” (소 아임 러빙 유)” together. Another chance to hear Jang Keun Suk’s captivating voice! Jang Keun Suk is nominated for the “Popular Actor for TV” Category for his role as Mo Gyul in Mary Stayed Out All Night at the 47th Paeksang Awards. He is currently running third at the ranks, way behind Mickey Park of Sungkyunkwan Scandal (first at 53.9%) and Kim Hyun Joong of Mischievous Kiss, who is currently sitting at the second spot at 30.5%. Jang Keun Suk has 4.5% votes right now so the Eels who are eligible to vote, let’s keep ‘em coming for our dear Prince J! We need to come together to make him win! You can vote via SMS which will cost a minimal amount. Voting is open until May 16, 2011 so we still have enough time to put him on the top spot! Jang Keun Suk hwaiting! Aja! Jang Keun Suk will attend the 15th Global Chinese Music (Asian Influence) Awards which will be held on Chengdu, China on April 15, 2011. This event is organized by Channel V.
This is a “kick-off” of Jang Keun Suk’s plan of penetrating the Chinese Entertainment industry and we must say that Keun Suk-ssi and his management, Tree-J, are doing a wonderful job in making him soar high not just in the Korean market, but in the whole of Asia as well. Jang Keun Suk is nominated for the “The most popular Asian Influential Korean Artist”, under the “Asian & Europe Stars” category. He is battling head to head with Lee Min Ho, Kim Hyun Joong, and Hyun Bin. 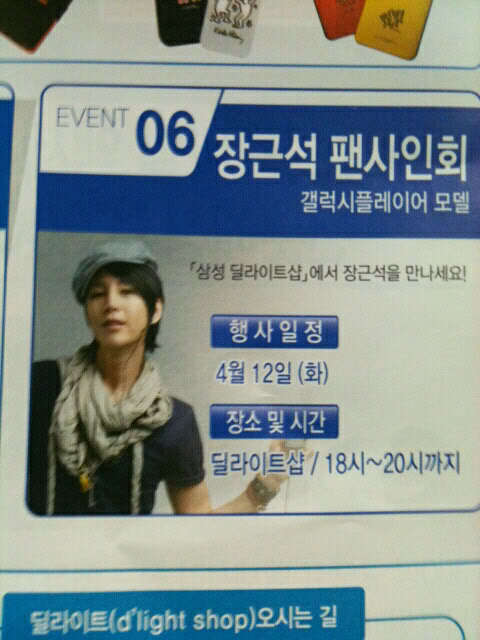 Jang Keun Suk may also perform at the said event. Jang Keun Suk is currently sitting at the number one spot. Let’s help him keep that position by voting for him. To cast your votes for Jang Keun Suk, please see instructions here. GCMA has always put efforts into promoting music, which also includes the whole of Asia and the world as the stage. Last year, we invited Kim Tae-hee and Lee Byung Hun, who shall we invite this time? Look forward to it! 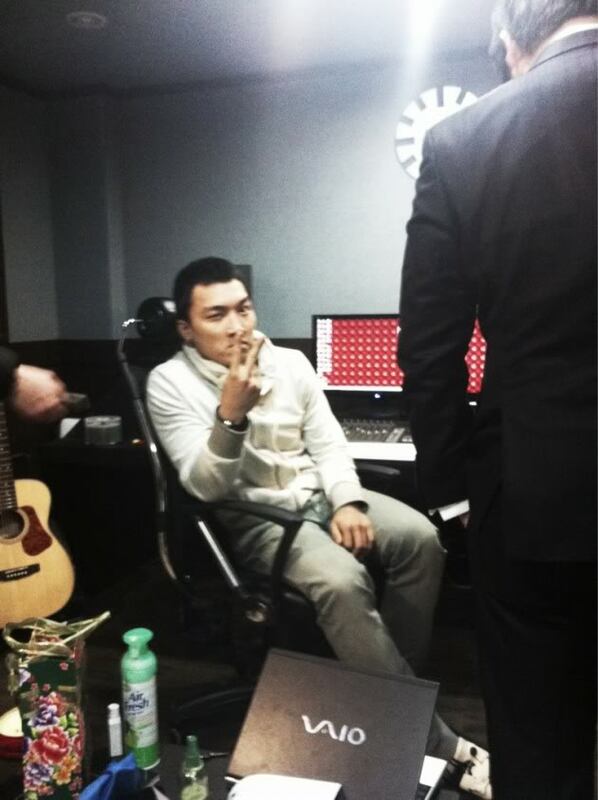 Flower-pretty boy is going to dazzle us with his appearance!!! First, we present a photograph of him that has charmed many. On 16 April 2011, Jang Keun Suk will be attending a press conference in Shanghai, firstly to commemorate his exclusive contract-signing to agent company, HS Media, secondly to reveal news of his album plans for China and Southeast Asia and thirdly, to have an opening launch of his Asia Tour. It will be formally announced at the press conference that HS Media will be JKS’ exclusive agent company solely in charge of his career in countries such as China, Hong Kong and Taiwan. 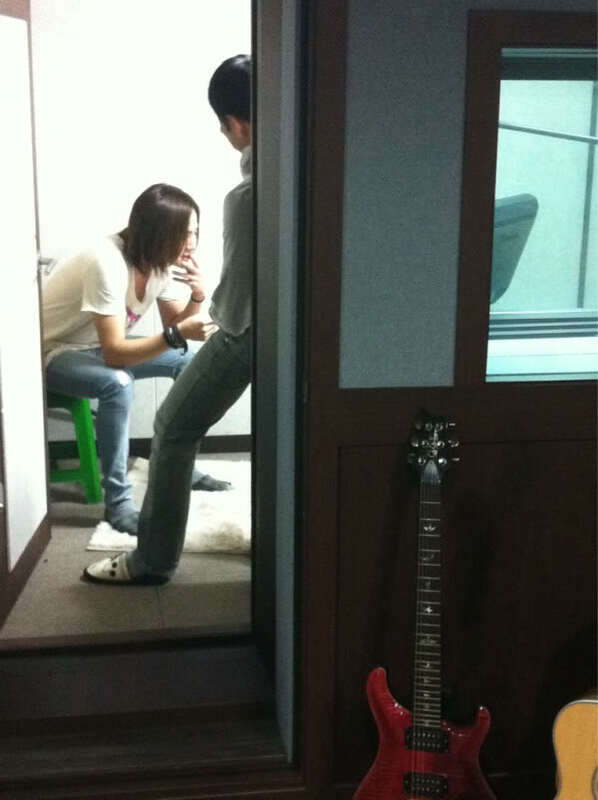 Jang Keun Suk with Big Brother Recording Songs! Rok Kim. anchor/reporter for 한국경제TV Korea Business News visited Jang Keun Suk and Big Brother today while Recording songs for an upcoming album by Team Lounge H! 퇴근 후 bigbrother sound 방문! 커트&장꽐라 녹음 구경! 가라겟챠~쉐이낏쉐이낏 에브리바레~하하하 chozer! As usual, Prince J is looking as handsome as ever!